A mix of beautiful wildflowers and prickly pear filled the desert landscape of Big Bend National Park on this cool March morning. 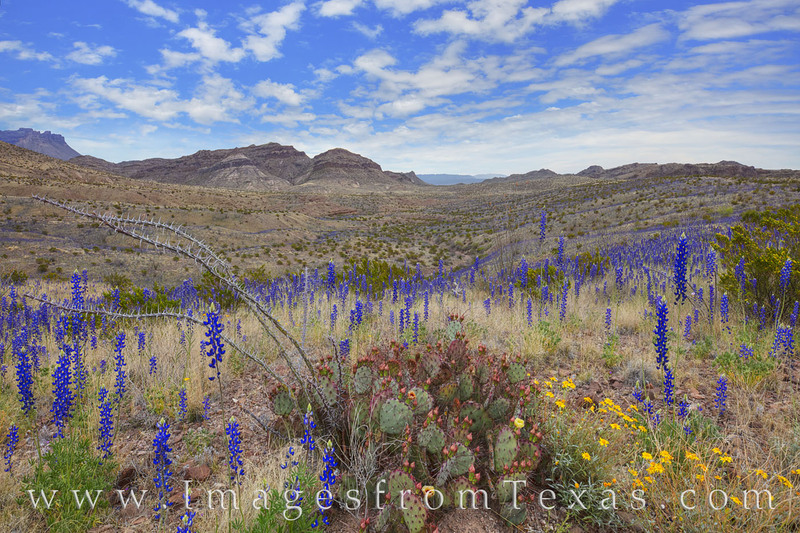 Bluebonnets and desert marigold brought blues and golds to the Chihuahuan Desert while a few blooms of a prickly pear began to show early in their season. In the distance, small streams of blueobnnets can be seen winding up the slopes of the small uplifts, bringing more color to the landscape. Photo © copyright by Rob Greebon.